What's the Connection to the Pelvic Floor? The pelvic floor muscles must be balanced and resilient to work in cooperation with other core muscles to properly support your organs. 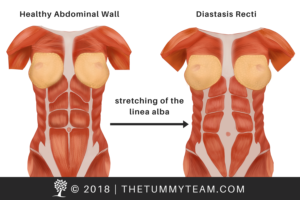 So if you are living with Diastasis Recti or Functional Core Weakness, the body collapses and lacks stability. That lack of stability combined with bulging increases the internal pressure on your organs. That pressure has to go someplace, and that place is often down against your pelvic floor, which leads to weakness, pain, and dysfunction. 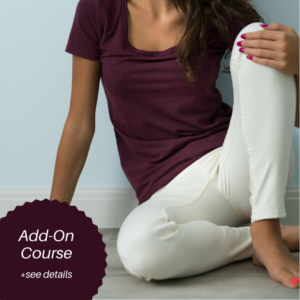 A healthy and functionally strong pelvic floor requires more than just Kegels. The pelvic floor is not just designed to be a supportive and postural group of muscles. This group of muscles is also designed to be dynamic and multi-directional as we walk, bend, lift, jump, and move throughout the day. When done correctly, Kegels can play an important role in initially connecting to these deep muscles, but this one exercise does not represent the extensive needs of the whole pelvic floor. What Are The Signs of Pelvic Floor Dysfunction? Functional pelvic floor rehabilitation is a comprehensive approach to look at why your pelvic floor is not functioning well. Our rehab will systematically rebuild the daily strength and flexibility of the pelvic floor that’s required for a strong life. We begin with addressing your functional core strength, and then we strategically retrain your alignment and the internal muscles of your pelvic floor for real-life demands. You do not need to live with these frustrating symptoms. Not sure if you need pelvic floor rehabilitation? Take our 1-minute assessment!